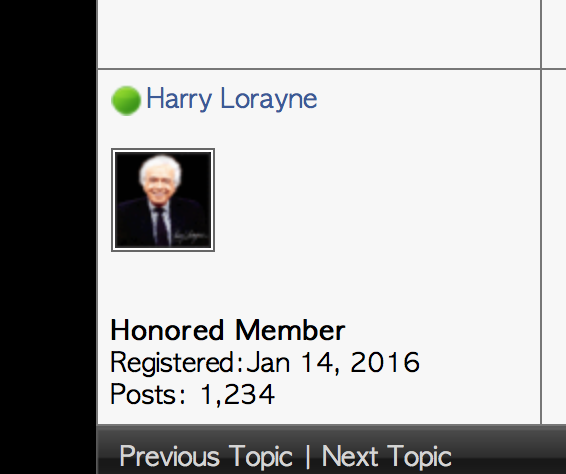 On the night of Harry Lorayne's 91st Birthday and on the eve of Jason Ladanye's lecture, THE MAGICIAN'S FORUM registered it's 500th member! 2. A copy of Teller's wonderful book, "Someday All This Will Be Yours"
3. A Joshua Jay book and DVD. The contest and the deadline for posting ends on midnight (PDT) May 10th. So... sign up post and good luck! Incidentally, this is my 300th post. That's very generous and kind of you, Steve! I'll sweeten the pot by sending the winner this book of card magic by Joshua Jay (DVD included). Hello to all of our visitors! I extended the contest deadline for new registrations. I also heard from Steven Youell who has an announcement that makes me want to delete my profile just so I can register to enter the contest. I will contribute a one hour Skype lesson to this contest. And the lesson will be tailored to the individual who wins! Tomorrow I will draw a name from a hat. Anyone who registers before 11:59 (Pacific daylight time) and in the last 24 hours will be automatically entered to win a copy of Teller's wonderful book, "Someday All This Will Be Yours" and a deck of Richard Turner Gold Seal Bikes. Not that I wanna wreck this party, but is it the 500th member that wins or will you draw a name out of a hat when we reach 500 members? Some clarification on how it works would be very useful! I'm going to update the opening post. I am going to extend the contest registration deadline. Anyone who is newly registered from the 2017 Vernal Equinox until we reach 500 members. I will draw a name at random. So being 500th is cool but it doesn't automatically win. We've got quite a few guests on-line right now. So I'm bumping this Contest thread in hopes we can surpass 500 members today. 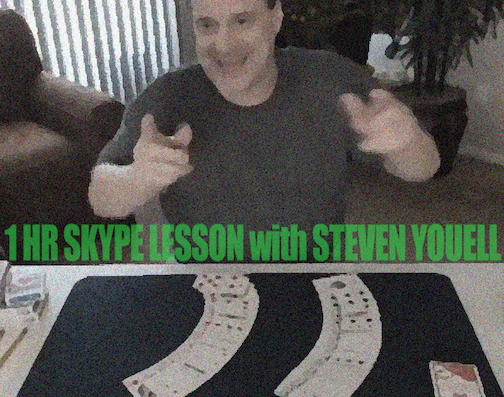 Sign up and throw your name in the hat for a free Skype session with card magic guru and all-around cool guy Steven Youell. Be sure to visit Steve's new and developing website Cardtrickology.net... Steven has also recently posted a number of vids here on the forum. An hour over the internets with Steven is guaranteed to make you a better magician! I guess if I HAVE to be in a Meme, that's most harmless I could hope for! And funny enough-- THAT was my 500th Post! Unfortunately, the subscription that I have with our host for the forum only allows me to have 125,000 hits per month. At a certain point last night, I hit the maximum and it put the cup bosh on some of the momentum that we were experiencing. If we continue to see a rise in the number of members and visitors, I'll have to upgrade my subscription to allow for more folks to join our community. I'm very grateful to those of you who are so invested in the Magician's Forum and what we stand for. How do you know how many members there are and what number member you are? Only 7 more members to go! Dan, there is a status display at the bottom of the categories page. We hit a record high yesterday with 364 visitors. Granted, 300 were Russian spambots but still, 64 actual people is pretty good! The members list can be sorted by date joined. I can see who has signed up for the forum once Rudy has approved their request. At present, we are seven members shy of 500. Yes, the old Kibosh... by the way Harry, that was your 1,234th post! 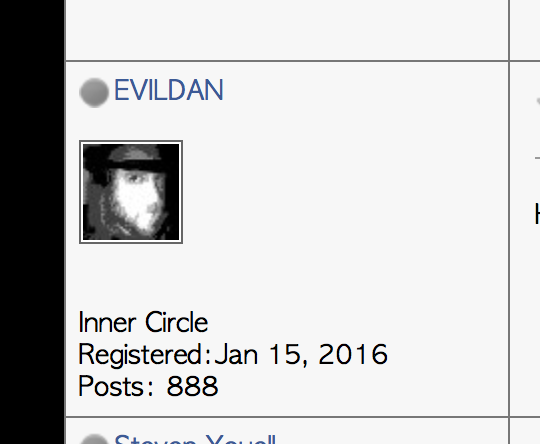 AND EVILDAN's 888th post. How come we didn't have a contest for his 666th? I was using the dictation option on my phone (Siri) to post that message. She doesn't always catch my drift! That reminds me - Alan Alda once told me about using that sort of thing and instead of the Waldorf Astoria it printed out "Walled off". Be careful. That is so generous of you fellas! Thanks again for investing in our forum! Our winners have been selected! 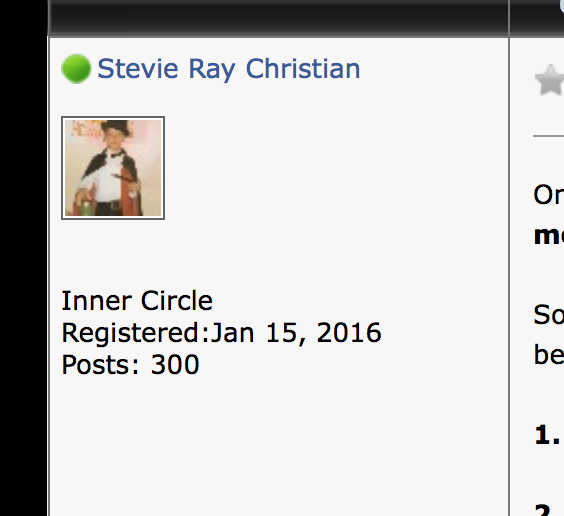 Congratulations to SilverMagicAddict, The Magician's Forums honorary 500th member! SMA will receive a one hour Skype session with Steven Youell. Our honorary 501st member, MagicMann will receive a copy of Teller's book "Someday All This Will Be Yours"
The honorary 499th member SJRWHeeler receives a A Joshua Jay book and DVD.